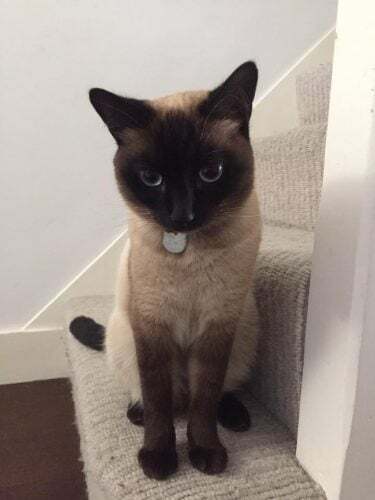 *REWARD* offered for safe return of Pudding, a small to medium sized Siamese type cat. Male neutered and microchipped. He has a chocolate brown face, legs and tail and has a very pale beige underbelly. He’s fairly timid and is partially deaf so responds better to higher pitched sounds. 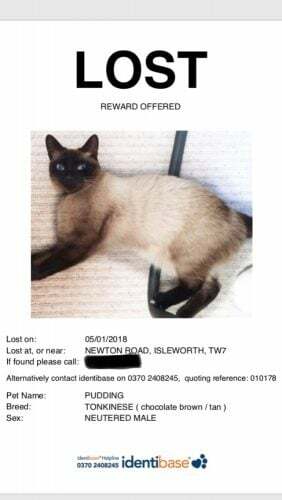 Pudding went missing from our garden in TW7 on the evening of Jan 5th 2018 and hasn’t been seen since. Please SHARE this page to your social networks. Thanks so much for highlighting this. I checked and it is not Pudding. 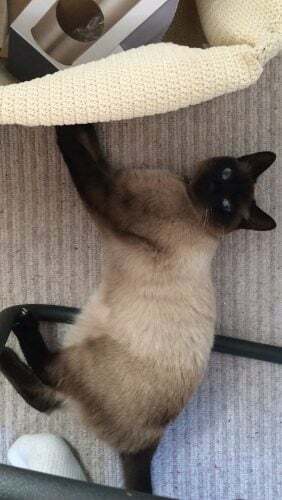 This cat is a traditional Siamese, while Pudding is a Tonkinese round face type.